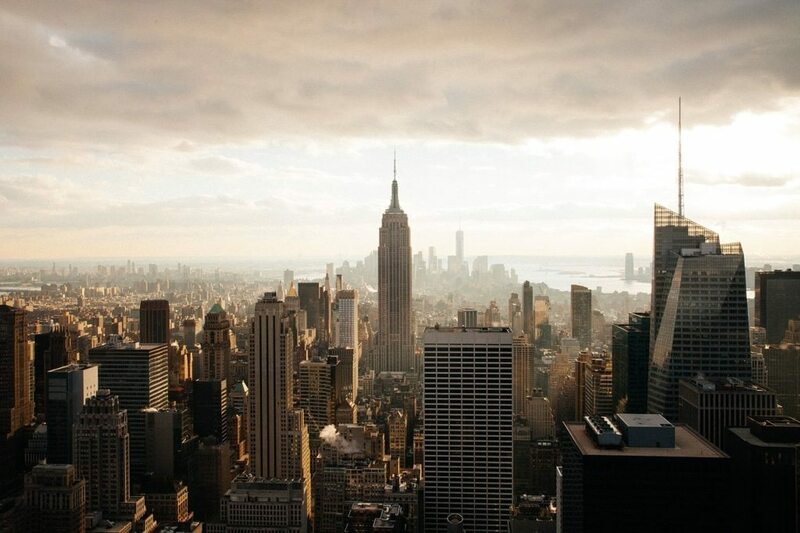 Coming to New York for the first time can be a daunting experience. 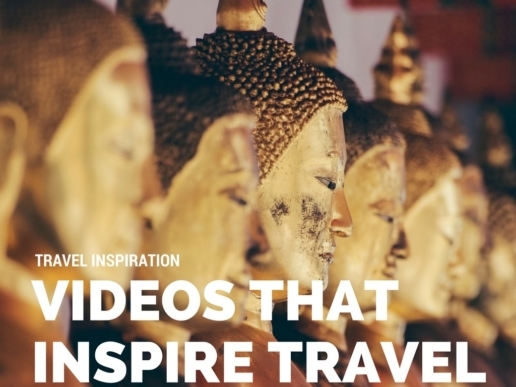 There’s so many things to see and do that deciding how to structure your trip can be confusing. I’ve been fortunate to visit New York several times over the years, and I love it. I love the manic energy of the city, the diversity of the people you meet and the dynamic artistic culture that thrives in this environment. 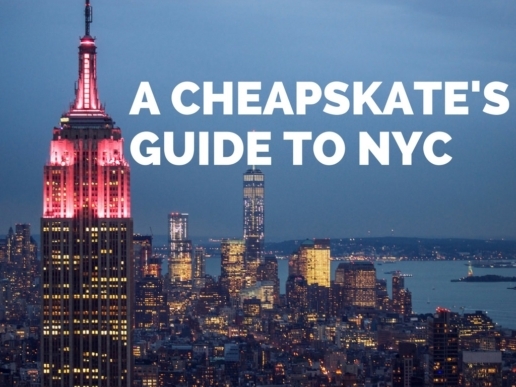 So I decided to make my version of the perfect New York itinerary for people visiting for the first time. 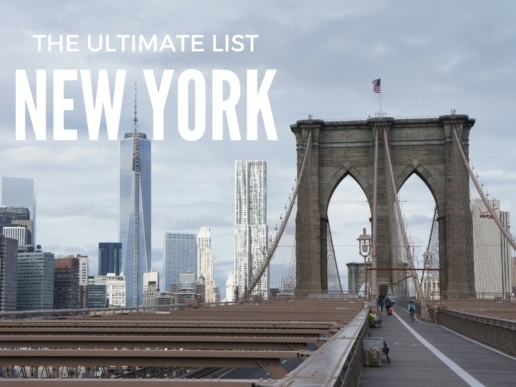 This will give you the classic overview of the city’s main attractions and some unique experiences you definitely should try in the Big Apple. For the day one, I’ll focus on some of the classic attractions most people want to see when they come to New York. So we’ll be spending most of our time around Midtown and Upper Manhattan areas. Rockefeller Center: In my mind, this observation deck gives you the best views of New York city. If you go there first thing in the morning, the lines should be short and the light conditions perfect for taking great pictures. The Rockefeller Center offers lots of other attractions including: impressive artwork and sculptures (the most famous being the statue of Atlas on 5th Ave), the ice skating rink in the lower plaza and you can try your luck and see if you can get on NBC’s “Today Show”, by standing outside their window when they’re taping. Location: 50th street between 6th and 5th Ave. Cost: Tickets are $32 per adult. Empire State Building: This is probably the most iconic building in the city and has come to represent New York as much as the Statue of Liberty. The Empire’s observation deck has been the center of countless proposals and romantic rendezvous, like the one depicted in the movie “Sleepless in Seattle”. Perched high in the sky, you’ll get stunning views of the surrounding city landscape. Location: 5th Ave between 33rd and 34th street. 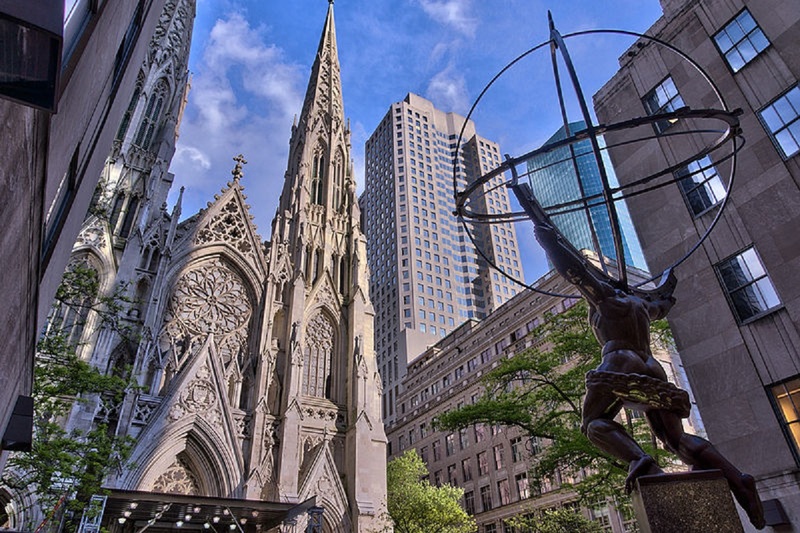 Right next to Rockefeller Center is St. Patrick’s Cathedral. The architecture of the cathedral is neo-gothic and it’s an amazing structure to behold. The cathedral has recently underwent restorations and now has a freshly cleaned exterior, but the inside remains largely untouched. Three blocks from Rockefeller Center is my favorite museum in the city, the Museum of Modern Arts (MoMA). 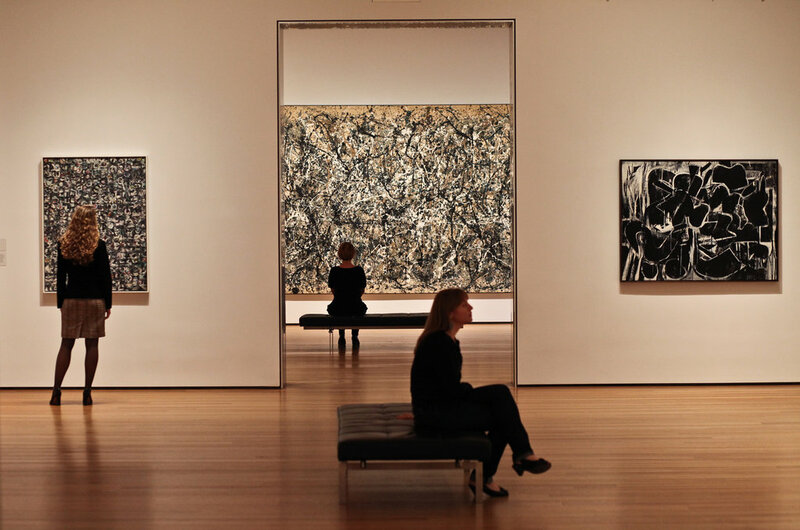 It holds some of the world’s finest collections of contemporary art, ranging from paintings and sculptures to film and live performance. The last time I went there, they had a Audio / Visual installation that showed the paths immigrants took trying to escape war and destruction in their home country. A very moving piece. 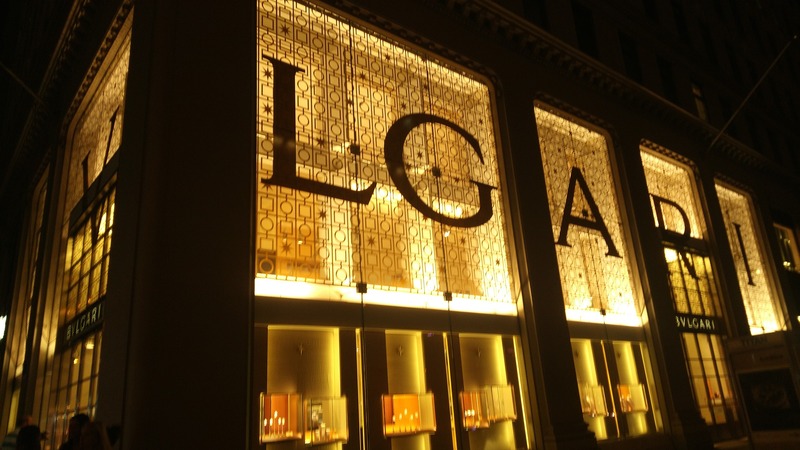 Just like Ginza in Japan, New York’s Fifth Avenue has a reputation for hosting flagship stores for many of the high end designers. This street attracts well heeled shoppers from around the world looking to splurge in Cartier, Tiffany, Bergdof-Goodman and more. Even if you have a modest budget, this is a fun street to explore and just window shop and marvel at the beautiful goods on sale. The below google map will walk you through the main highlight of 5th Avenue and will drop you off at our next destination, Central Park. 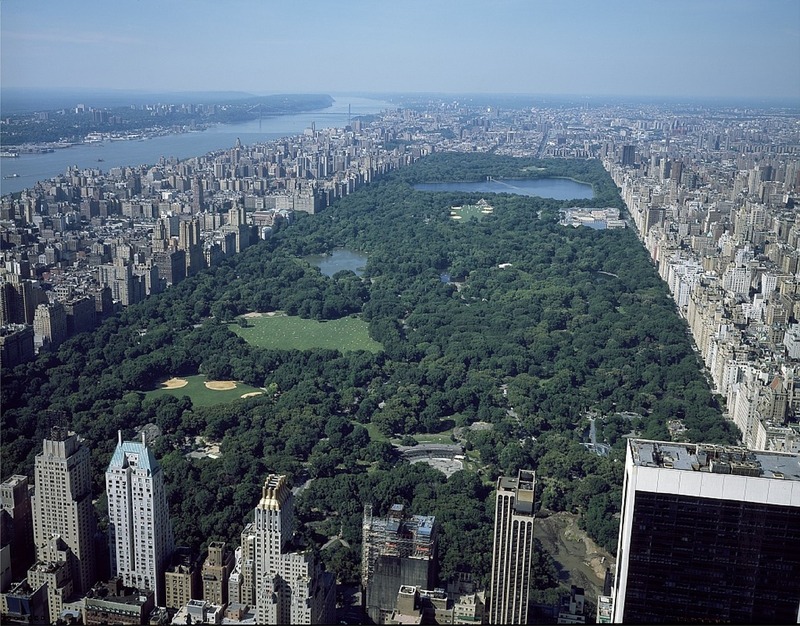 Time to escape the concrete jungle and head to New York’s garden paradise, Central Park. This is simply a massive park that has several attractions including: Strawberry Fields, Central Park Zoo, the Conservatory Gardens and the Lake, which is used for skating in Winter and paddling in Summer. You need to decide what part of the park you want to explore. I strongly recommend that you rent bikes to get around the park, it’s huge and getting from one side to the other will take time walking. I also recommend that you grab a quick bite to eat from one of the food carts in the park. Location: If you’re coming from MoMA, Central park starts from 59th Street (cutting across 5th all the way to 8th Avenues). Times Square and Broadway are two of the biggest tourist magnets in the city. Walking down Times Square is an attack on the senses. The frenetic traffic, tall billboards and megatron screens (which are splashed with colorful advertisements) will overload your senses. A visit to Times Square is a must at night, when the visuals of this area are most vibrant. 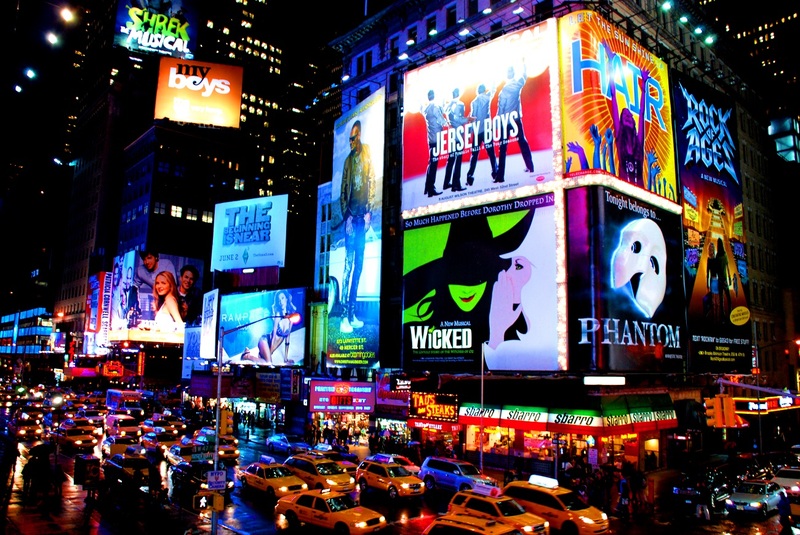 Next to Times Square you’ll find Broadway’s biggest theaters. “The Great White Way” offers the absolute pinnacle of the theatrical arts. There are lots of long running shows you can choose from like the Lion King and Wicked or (if you have the money) you can go to Hamilton, one the newest and hottest shows to debut in the city.